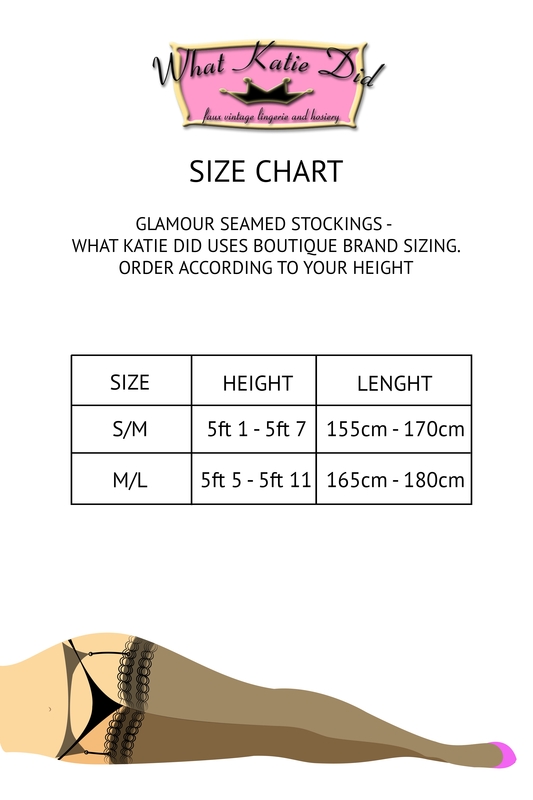 What Katie Did Seamed Stockings Latte Glamour have been perfectly designed with a darker seam for recreating daywear looks from the 1940s and 1950s, with a flattering deep welt! What's stocking you, get them now! Love the look? Check out the Seamed Stockings Contrast Black by What Katie Did! Black Satin Suspender Belt Harlow Nouveau by What..